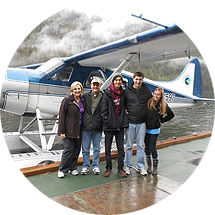 SeaWind Aviation is a family operation committed to providing the finest of Alaska by flight seeing in the Misty Fjords, viewing wildlife on a bear viewing tour, fishing or enjoying crab feasts, or by simply embarking on an air charter in the Southeast Alaska panhandle. 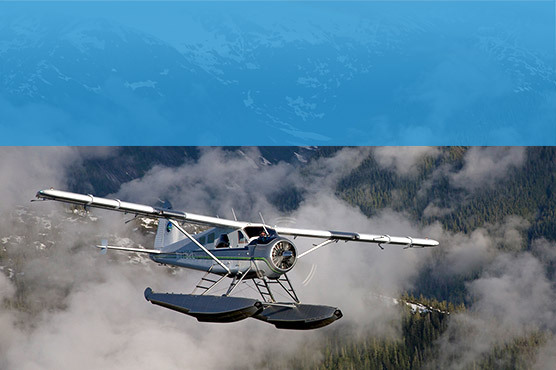 This Alaska based business was founded on experience and knowledge that dates back through generations of seaplane and floatplane adventures. 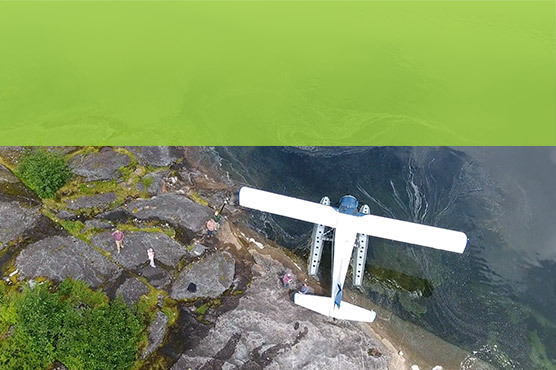 Seawind Aviation has been a top rated tour operator since inception and we invite you to experience the difference of our airline in Ketchikan. The following are biographies that outline the years of quality experience each team member offers at SeaWind Aviation. 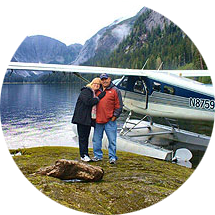 Owner Steve Kamm was born and raised in Ketchikan Alaska and offers more than 31 years of commercial flying experience. 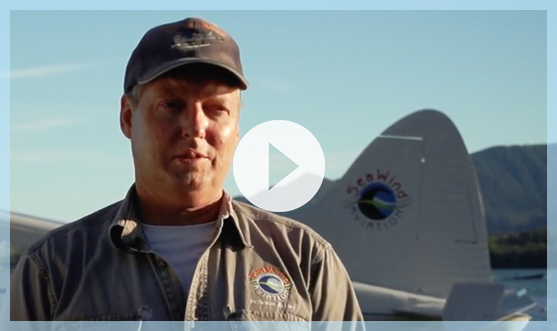 After flying for the largest air taxis in Southeast Alaska, Steve was able to log more than 23,000 hours of commercial flight time in the area. 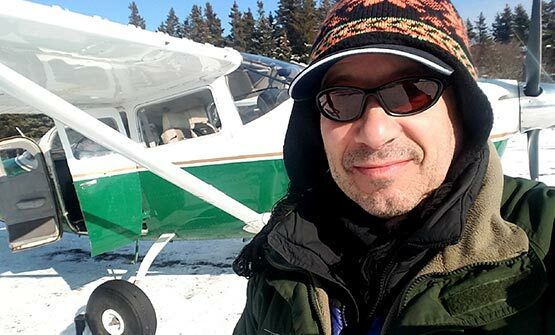 Steve is a second-generation Alaskan pilot who gets his love of flying from his father, Cliff Kamm. His father logged approximately 40 years of local flying in both commercial seaplanes and helicopters. Steve’s great-grandfather, E.C. Phillips came to Ketchikan in 1926 from Grimsby, England. 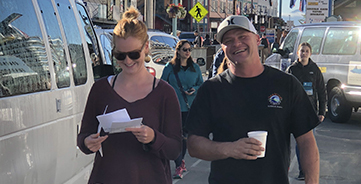 He worked on the Ketchikan cold storage dock before founding his own fish processing plant to serve local fisherman – E.C. Phillips and Son was established in 1950. E.C. Phillips and Son, like SeaWind Aviation, is still going strong today. 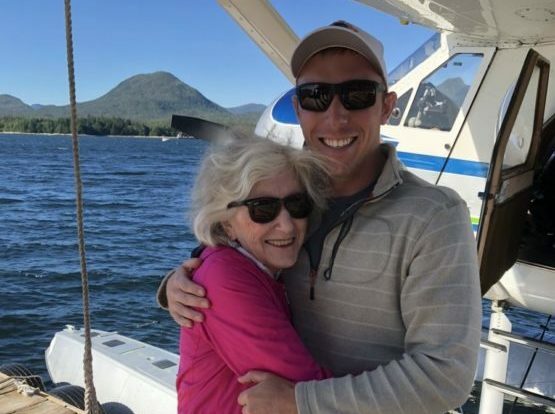 Pilot Mike Falconeri gained an interest in flying as a young child and knew how to command an aircraft by the time he was old enough to actually get his pilot’s license. He has maintained his license for thirty five years but has only used it commercially for the last fifteen. Before embarking on his aviation career, Mike raced motorcycles into the pros as well as worked at Pratt & Whitney and opened his own kayak business. Mike’s sense of adventure led him to eventually solo paddle most of the US coastline over the course of eleven months. 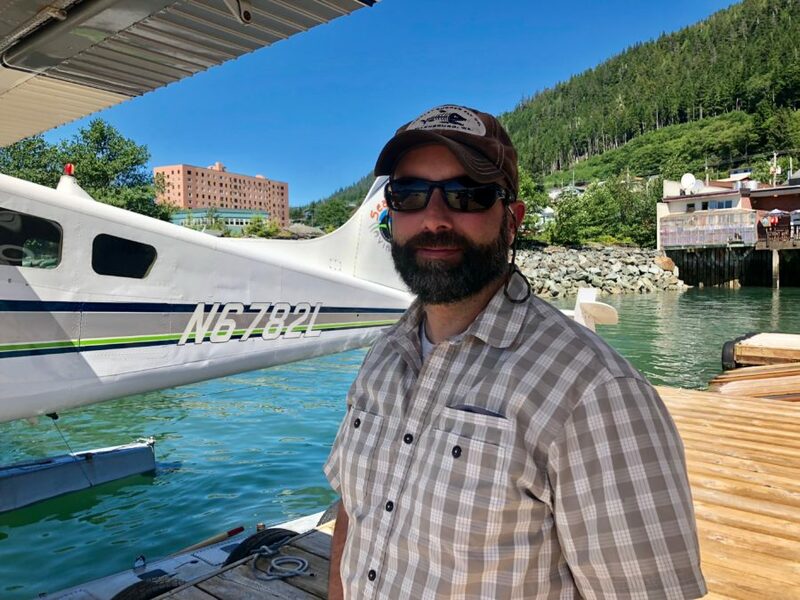 Before beginning his Southeast Alaska flying career, he gained experience in Maine and Connecticut working for Fish & Wildlife and the US Forest Service. This provided for ample experience flying various user groups from hunters and fishermen to celebrities and rock stars. Mike’s motto is “It’s never too late to start your journey” and he demonstrates that through his career path and in life. Was born and raised in Thorne Bay, Alaska located on Prince of Wales Island not too far out of Ketchikan. Anthony grew up learning to fish and hunt. His passion is flying floatplanes and he also flies a jet for a medevac company out of Ketchikan. He is married and has a new baby girl. Grew up in the Midwest and served in the Military before going to flight school. He obtained his pilot’s license out of Arizona and moved to Ketchikan 10 years ago to fly floatplanes. He is also an A&P mechanic. His passions are fly fishing and spending time with his wife and sweet daughter. Lesley runs SeaWind Aviation’s ground operations, reservations and marketing. She is also the wife to Steve Kamm and mother to three young girls – Kendall (16), Shelby (14), and Stevie (12). 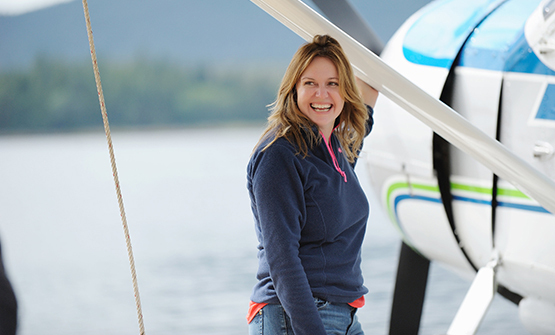 Lesley coordinates all of SeaWind Aviation tours, including the pick-up and drop-offs at the Ketchikan Visitors Information Center. You just might be lucky enough to have her pick you up! All pickups are in front of Ketchika’s “Liquid Sunshine Gauge” located on the cruise ship dock near the Ketchikan Visitor’s Bureau. Drew O’Kane is a Native of Colorado and its beautiful Rocky Mountains. A descendant of gold rush homesteaders from the 1880s, Drew grew up with the great privilege of access to the family’s 20K acre ranch where he was able to adventure upon horseback among the rich wildlife high in the Rockies. It was there that Drew developed his great love and deep passion for nature and wildlife. 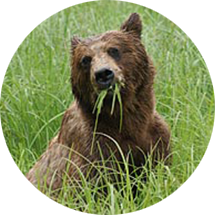 As one of Ketchikan’s Senior Bear Guides, Drew’s experience and bear knowledge are showcased in his “education & preservation” approach to guiding. 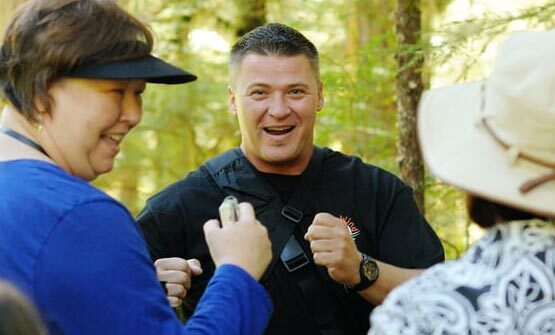 Drew is known for his witty humor and his infamous “Alaska Bear Dance” that seems to bring bears out of the woodwork — but only if YOU dance too! 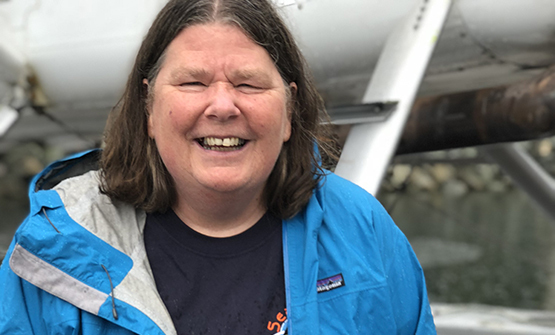 Jill moved to Ketchikan over 40 years ago and has worked in the Ketchikan aviation community for over 15 years. She helps Seawind with online and telephone reservations and scheduling. Jill is very cheerful and always positive. She loves visiting with our customers and sharing stories, as well as offering suggestions on other things to do after their flight with us. Kendall was born and raised in Ketchikan. She has been raised around our Aviation business and has enjoyed working the last few years at Seawind learning the ropes but mostly enjoying working on the dock assisting the pilots, and hopping on flights with her dad. 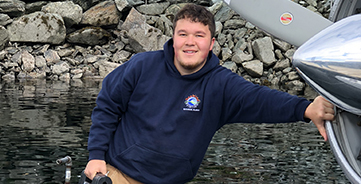 Zach was born and raised in Ketchikan and is half Native Alaskan from the Tsimshian tribe. He spent his childhood exploring beaches, mountains and oceans by boat, kayak and aircraft. He is now in college in California and returning to Ketchikan for the summer to work and spend time with family & friends. 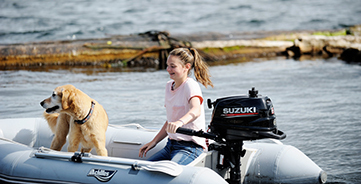 Naomi was born and raised in Ketchikan and began working for us at Seawind 3 years ago. She is obtaining her degree in Speech Language Pathology. Naomi fills a lot of shoes, but mainly she drives to pick up and drop off passengers, checks them in at the office and sometimes loads and unloads the airplanes. She is a joy to have around, and were lucky she comes back each year.